There’s something special about exploring the streets of New Orleans and wandering into a restaurant for breakfast or lunch. 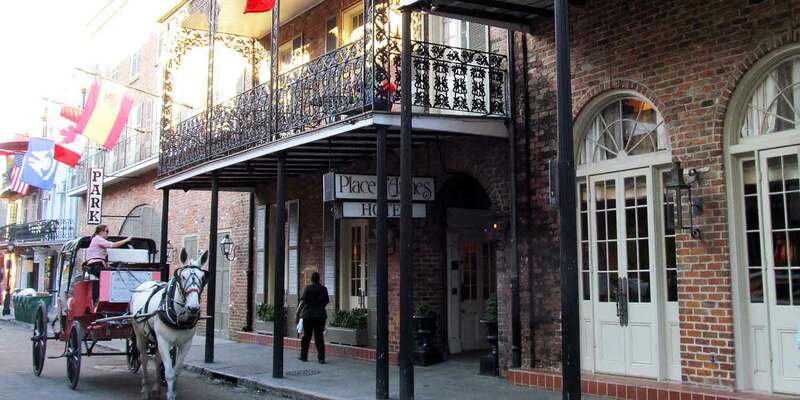 Whether you’re looking for traditional American options or Creole and Cajun inspired recipes the city’s dining scene provides endless options, particularly in the French Quarter. These five spots offer something from everyone, from bacon and eggs to elegant French pastries. Stanley serves New Orleans style breakfast and brunch all day, from a location abutting Jackson Square with views of the Cathedral and the hustle and bustle along the riverfront. Menu options reflect the influence of Creole and Cajun cuisine on otherwise standard American fare. The eggs benedict comes on a po boy, and the French toast comes with bananas foster. Stanley also offers house made ice creams and Italian sodas. This quiet, French-inspired bakery and café is perfect for early risers, opening at 6am. Guests enjoy a quaint interior and courtyard as they sample fresh pastries, quiches, cakes, and sandwiches. During carnival one of the café’s most popular items is a French king cake – flaky layers of puff pastry separated by almond paste. The delicate and butterfly flavor is the opposite of the cinnamon forward, sugar coated, version typically served in celebration of Mardi Gras (though both are delicious). Decadent lunch options include béchamel sandwiches with turkey or ham in a hot croissant with béchamel sauce and cheese. The Ruby Slipper has something for everyone. Husband and wife owners Jennifer and Erich Weishaupt started the restaurant in 2008 in Mid-city, and now there are seven locations around the city. Affordable, everyday options like eggs, pancakes, and French toast dominate the menu, but there’s an attention to detail and New Orleans-inspired flare that makes it different from breakfast restaurants outside the city. The mix and match benedicts are wildly popular, with options including eggs cochon – with slow cooked pork, eggs, and hollandaise on a biscuit, as well as the Chicken St. Charles – fried chicken, eggs, and a tasso cream sauce. Lines here tend to be long, but a bustling bar and breakfast-focused cocktail menu help to keep the crowd patient. 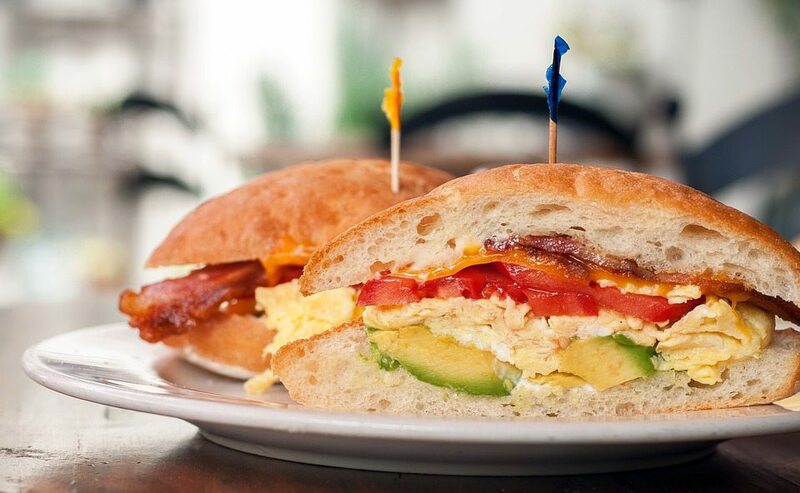 Horn’s offers a perfect mix of quirky, local flavor with traditional breakfast and lunch options. This brunch spot in the Marigny has minimal outdoor seating – three or four tables on the sidewalk running alongside Dauphine, along with a small interior dining room with the intimate feeling exposed wooden walls and rustic tables and décor inspires. Menu highlights include the Creole slammer: a pile of golden hash browns topped with eggs and crawfish etouffee, as well as the carrot waffle, with shredded carrots, ginger and scallions topped with pickled coleslaw and a sweet and sour glaze. They also offer basic breakfast options and po boys, as well as a full bar. 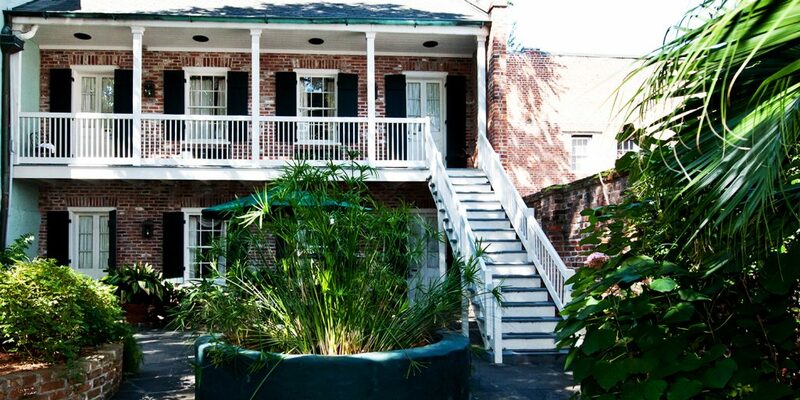 Vacherie serves authentic Cajun cuisine from the Hotel St. Marie in the French Quarter. The restaurant’s name comes from a small town west of New Orleans on the banks of the Mississippi where Chef Jerred Zeringue grew up, and from which the menu’s inspiration arises. Dishes like andouille hash and boudin benedict showcase classic Cajun flavors while options like steel cut oatmeal and a continental breakfast with fruit and hot tea allow for lighter eating. On Saturday and Sundays Vacherie’s brunch features a DIY Bloody Mary bar, including unlimited mixers, garnishes, and seasonings, and the restaurant also serves classic cocktails that lend themselves well to day drinking like rum punch and Pimm’s cups. Guests of the Hotel St. Marie often enjoy breakfast at Vacherie after a comfortable evening at the hotel, eventually making their way to other nearby spots as their stay progresses. There are few activities more enjoyable than eating one’s way through the Crescent City.